How Semaphore Extended BaseSpace Clarity LIMS to Lay the Groundwork for Scale. Helix is a personal genomics company with a mission to empower every person to improve their life through DNA. 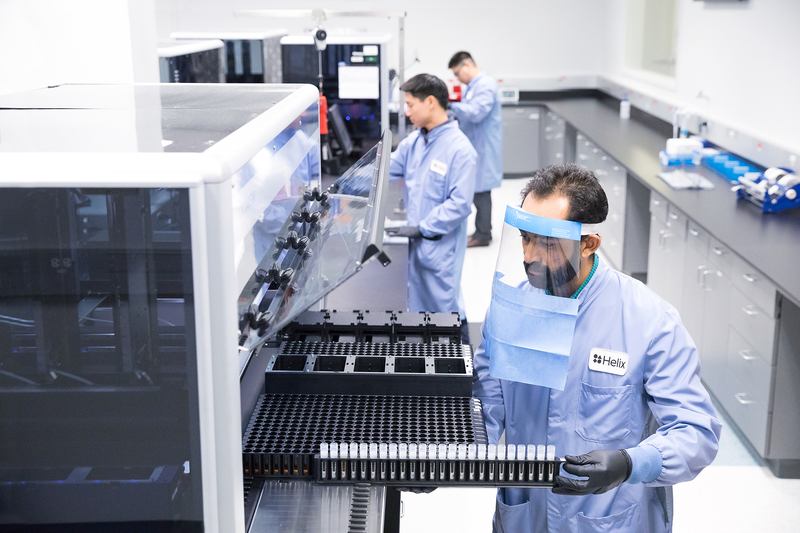 One of the largest clinical exome sequencing labs in the world in the world, the Helix laboratory is responsible for the processing, analysis and secure storage of their customers’ DNA data. Helix sets itself apart by using Next Generation Sequencing (NGS) and a proprietary assay called Exome+. 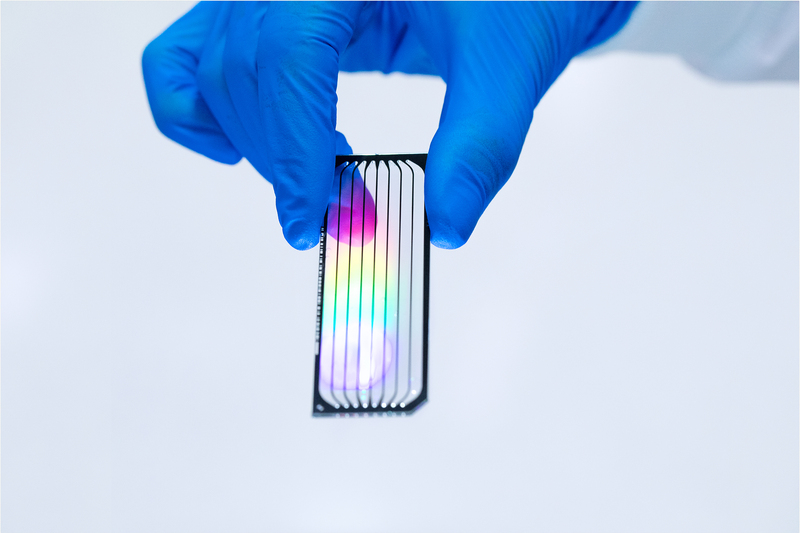 In contrast to the typical static arrays used by other consumer genomics companies, Helix reads all protein coding genes per sample which results in about 100X more raw data. As one of the world’s fastest growing personal genomics companies, Helix required the structure and flexibility of a customized Laboratory Information Management System (LIMS) to handle an exponential increase in their daily sample throughput. As a large scale CLIA certified and CAP accredited laboratory, there existed no margin for error at any stage, whether it be sample intake, analysis, or data storage. Semaphore Solutions worked with Helix to automate and extend BaseSpace Clarity LIMS without impacting lab throughput. The end result was a highly automated Clarity LIMS which ultimately allowed for a significantly increased volume of data. A stable implementation of the extended BaseSpace Clarity LIMS that ensured upgrades could undergo testing and versioning without disruption of the current process. A highly automated LIMS which reduced human interaction with the samples, reduced human error, and increased overall lab efficiency. A LIMS that ensured the lab maintained its CLIA- and CAP- accreditation by supporting validation and quality control while providing a seamless integration between Helix’s business systems, instrument integrations, wet lab, and the overall lab processes. Custom Workflows: Custom LIMS workflows were designed to automate lab processes and form the basis of the integration with Helix instrumentation. 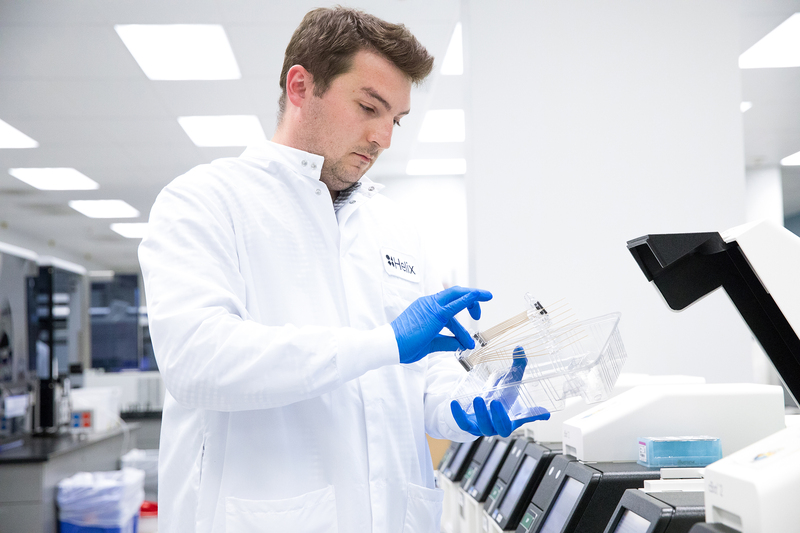 Custom solutions were integrated at each stage in the wet lab workflow, spanning from extraction to sequencing. Automation: As part of the automation process, Semaphore developed a series of messaging systems between the BaseSpace suite and other internal tools that allowed for lab technicians to interact with the automated processes. This allowed the lab technicians to requeue samples, cancel process etc. with very little manual work or interference with the LIMS. No Impact on Throughput: Semaphore took care to implement a solution that wouldn’t impact Helix’s high volume lab. It was imperative that the extended Clarity LIMS implementation and upgrade followed a strict procedure that ensured validation by providing testing and staging processes and allowed for continuous improvement. Collaboration: Throughout implementation, Helix and Semaphore worked collaboratively. This ensured that Helix was always in control of the code base and was able to review and ensure that any developments would adhere to the strict CLIA- and CAP-accreditation guidelines. Internal Training: Helix is an evolving and dynamic company, which will continue to develop new features and products. As such, Semaphore trained Helix’s internal software team to maintain and update their solution into the future. Semaphore will continue to collaborate with Helix’s team whenever they are called upon. 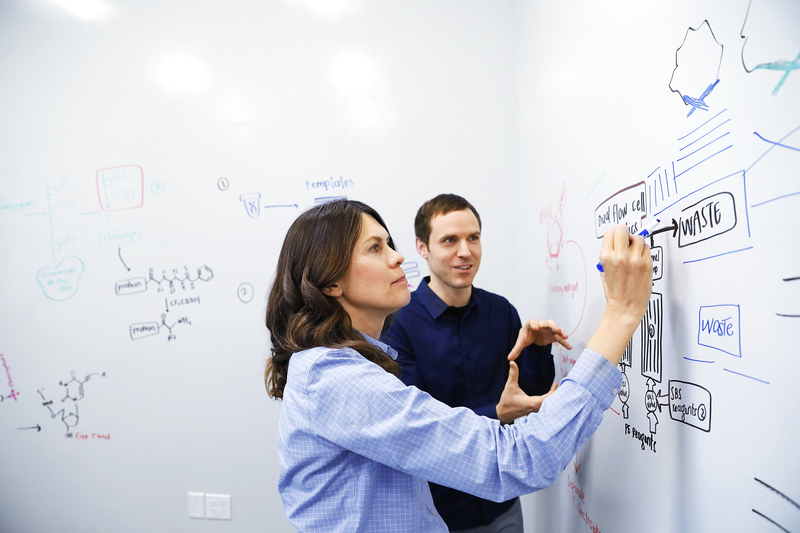 Helix required a custom solution in order to maximize lab and data efficiency. It was essential that this solution to be implemented without impacting lab throughput. The implementation of the extended Clarity LIMS, lab automation and software support provided by Semaphore Solutions provided the necessary infrastructure for the launch of the first online consumer marketplace for DNA-Powered products. Semaphore’s custom workflows allow Helix’s lab to serve a growing customer base and easily process an increasing daily sample volume. Helix’s partners know that they can rely on customer data being analyzed, stored and accessed in a timely fashion by multiple third party apps and integrations. As a result, Helix was able to easily scale up their production for the launch of their marketplace and grow into a company with over 150 employees.